It’s every photographer’s nightmare to lose precious images. Whether you’re a pro on assignment or an amateur coming back from your dream vacation you can’t risk a technical or human error that would cost you those once in a lifetime photos. Here are some tips to hopefully help you avoid that photographic tragedy! 1. Turn off the option to shoot without having a card inserted. 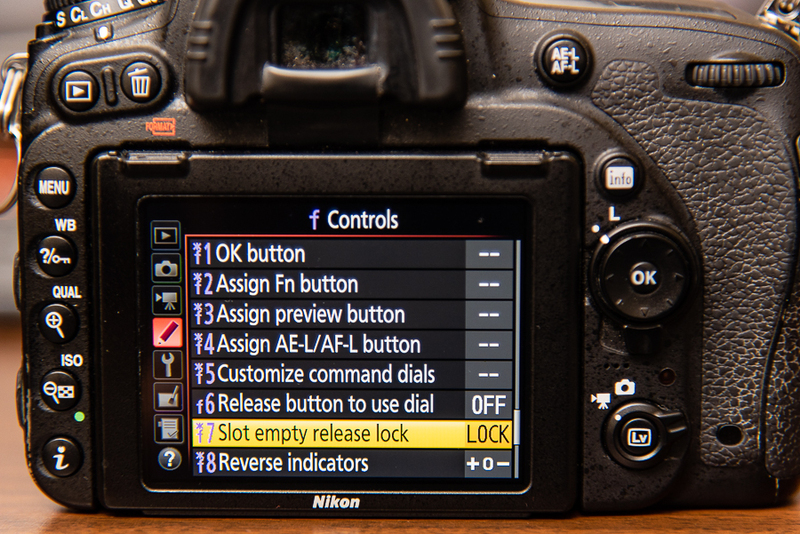 Some DSLR cameras have a demo mode that will let you release the shutter without having a memory card inserted. There is no internal memory and even though the image shows on your screen you have not actually taken a photo that can be saved! My camera clearly says DEMO in red letters on the screen to hopefully warn people but I think it’s still a dangerous scenario. I recommend that you go into the camera menu options and turn off this mode so that your camera shutter will be locked unless a memory card is inserted. 2. Only use cameras with two card slots. 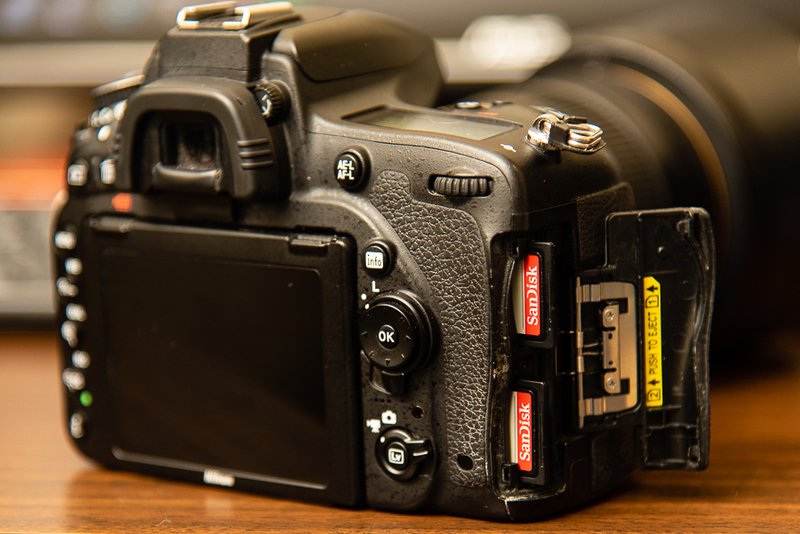 When you’re shopping for a new camera I suggest you only consider buying a camera that has two card slots. This will give you an immediate backup of your images as soon as you take the shot in case of a memory card failure. The second slot can be programmed as an overflow for use when the first card is full, or as an immediate backup. I recommend the backup option. If you do suffer a card failure there are a variety of rescue software programs that can often save the images. But it’s not foolproof and sometimes those images can’t be retrieved. So having that second card slot as a backup can be a lifesaver. 3. Confirm all images are uploaded to your computer. Make sure that the total number of images on your card matches the number of images in the folder on your computer where you transferred them to. This may sound easy and obvious on a small photo shoot but can easily get more complicated on a bigger session. For instance, as a professional wedding photographer, I often use several cameras and take thousands of photos resulting in multiple folders on a memory card (the folders max out at 999 images). Plus I may have a second shooter with me as well. So I use a calculator while transferring the files from the multiple cards and folders to keep a running total and to confirm that the total number of uploaded images match. 4. Backup to multiple sources. 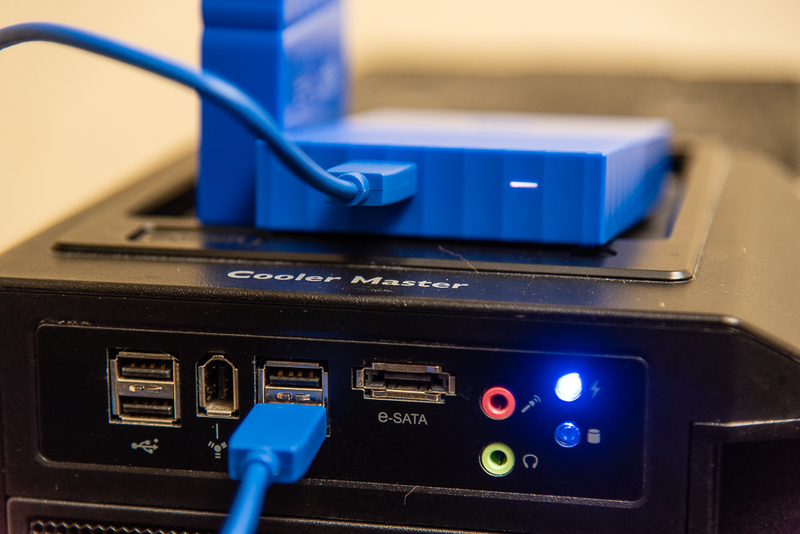 Immediately backup your images to two external drives. You want multiple backups, not just one, and they should not be on the same computer. 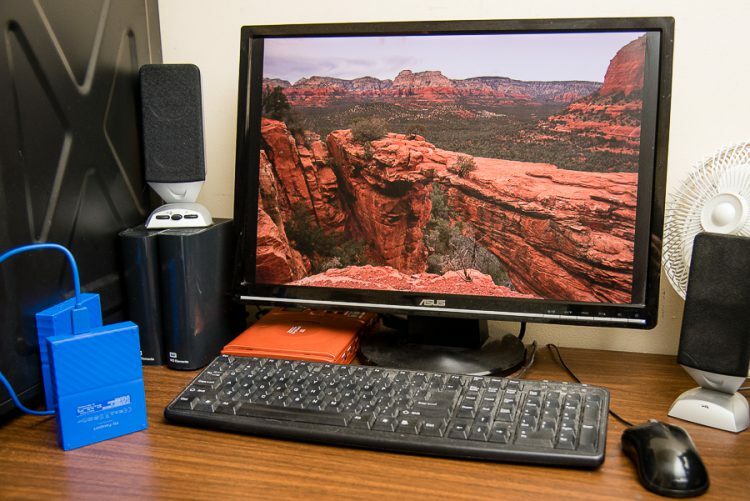 Ideally, you would also have an off-site backup so your images are protected in case of fire, flood, or theft. 5. Don’t reformat your memory cards until you finish the editing the photos. If you made a mistake during the previous step about confirming the upload of all your images you would probably notice the missing images during the editing process. So don’t erase the images from your memory card until you have finished and backed up the final edit. Memory cards have come down in price and you’re better off buying extra cards than rushing to reformat a used card before finishing the edit and assuring all is well. There are many different possible workflows for uploading, backing up, and processing your images. Since I often am working on multiple assignments at once I keep a spreadsheet showing the status of each project. That way I can’t get confused on if I remembered to back up the images, or where I’m at in the editing process etc. The internet photo forums are full of horror stories of photographers who have lost important images. Don’t let it happen to you! The most important thing is that you have a system that works for you and that you follow it every time to keep your prized photos safe. What are your tips for safeguarding your images? Hello, This might not be good for everyone, but I keep all of my SD cards after I have filled them up with photos and store them with a list of date, subject, etc. I consider them my “negatives” just in case all other backup systems fail. I also put photos I want to be sure I keep onto DVDs and an external hard drive. (or 2).